Former D1 Fairfield University attackman and current NALL (North American Lacrosse League) player for the Rhode Island Kingfish. I grew up in Upsate New York where traditional lacrosse is at its highest. 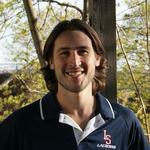 I have been playing lacrosse for over 20+ years now and have been coaching locally for 4 years now. I have coached at every level, from youth lacrosse to high school and on to college. I have a strong passion for the game of lacrosse and it has helped become who I am today. A very important aspect of coaching for me is the ability to teach valuable life lessons while teaching the game i love. I think of myself as more of a mentor than a coach and showing kids the potential of what lacrosse can do for them moving forward in life.